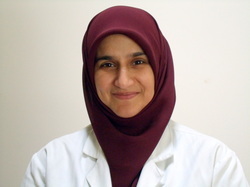 The Muslim Obstetrician & Gynecologist - Muslim OB/GYN > Medical Blog > Hpv > Does my child really need the HPV vaccine? Thanks to Rick Perry, the HPV vaccine is back in the news. Unfortunately, as it seems all of politics are going these days, the discussion is being held with very extreme viewpoints and is all about individual liberty versus young adult promiscuity. The truth is, the vaccine has nothing to do with political conflicts. The vaccine has everything to do with the health of our young women. You can read more about the vaccine from the American College of Obstetrics and Gynecology here. The human papillomavirus (HPV) is the most common sexually transmitted infection (STI) in the world, but it is unique in its behavior. A person (male or female) can carry a latent infection for years: testing negative, but carrying it all along. A person can acquire the virus through sexual contact or even through intimate skin-to-skin contact when they’re 14 or 15 and not test positive for it until they’re in their 20s and in a stable relationship. Is it true, that two well-behaved adults, who have never had any intimate contact with another person, who marry, should be at zero risks for getting HPV? This is true. But the same young adults would not need the hepatitis vaccine. And what is truer, is that people are not perfect. In my practice, with its wide variety of patients, I estimate about 5% of my Muslim patients test HPV positive. I find it in young couples who are both in first marriages. I find it in older couples who have been married for 10 years, who grew up back home. I have even found it in single women, 10 years divorced. These are difficult diagnoses to share, as the first question is always “where did it come from?” But share them I do–and often. And as this newer generation grows, I am already finding that young Muslim women have had intimate contacts in numbers that would alarm community elders. I am expecting the rates of HPV detection to sky rocket amongst young Muslim couples in the next 5-10 years. HPV is not nearly as common in religiously adherent couples as it is in the general public (we estimate that 50% of college-age women are actively carrying the virus). However, it is quite prevalent in society, and people have histories. Unless you can guarantee that your child will never stray, that your child will never marry someone who has strayed or a convert, that your child will never marry someone who may stray after they are married, and that your child will never be the victim of a sexual assault, then you cannot guarantee that they will never be exposed to HPV. Given the low risk of the HPV vaccine (aside from the discomfort of the actual injection, the annoyance of three visits, and the cost, there is really little of concern with the vaccine) and the potential for benefit, it is hard to argue against vaccinating all young women and men. Of course, as some are saying, you have your individual liberty, to decide what’s best for your children. But just as most of us who are born and raised in the US and who chose to practice this faith will never be exposed to polio, hepatitis B, diptheria and other infections we are all vaccinated for, we have no trouble protecting ourselves “just in case.” When risks outweigh benefits and costs are low, answers should be easy–not political. Sarah, I think it is also important to point out to parents that the HPV vaccine is effective as long as it is given before exposure to HPV. Although I agree with you that more Muslims are having intimate contact outside of marriage, I don’t think we’re at the point where our 11 and 12 year olds are doing so. So if a parent does not feel comfortable giving their 11 year old the HPV vaccine, it is definitely an option to wait a few years at which point they may be able to discuss the issue with their child and come to a decision together. These are all excellent points. 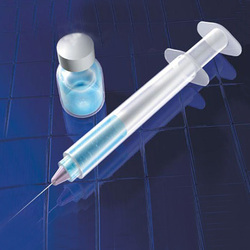 Definitely, the decision to give your child a vaccination should always ultimately rest in the hands of parents. I hope, however, that the HPV vaccine will soon move into the realm of other vaccines: Varicella (chicken pox), Hepatits B, etc. Parents usually don’t have discussions with their children about how Hep B is passed through blood and bodily fluid exposure. Generally, it’s a question of which vaccines a child needs to get that year by pediatric standards. And I will say, though most my patients who are the children of practicing, Muslim patients, have predictable, religiously appropriate behavior, there are those who do not. And when a child is acting in a manner completely differently from her parent’s standards, 13-14 years is generally when it begins. A sad truth, but a truth none-the-less. That being said, this vaccine is not about sexual promiscuity or sexual behavior, it’s about protection against a common virus. A virus, that like Hep B, your child will likely never be exposed to. However, it’s also a virus, that when exposure occurs, the vaccine will be too late. I totally agree, I have so many friends struggling with HPV, all of them wish there was a vaccine when we were young. Thanks for the supportive words. Please let us know if there are other issues you would recommend writing on. I do wonder about the significance of timing of exposure. If I’m not mistaken, exposure to HPV in adolescence and early adulthood (teens and early 20s) is more likely to cause adverse cervical cellular changes? Something to do with cervical ectropion? My thought process has always been, if I am confident of my abstinence through my teens and early 20s, then even if I am exposed to HPV by my hypothetical, possibly imperfect husband later in life, isn’t it still less of a concern? I believe that is also part of why the vaccine isn’t recommended for women over 26 years old. So by this reasoning I have chosen not to get the HPV vaccine. Please clarify if I am understanding all this wrong, as if that’s the case, I’d rather be safe than sorry! Jazakallah. So 90% of the time a work up for a cause finds nothing, as in the case of this girl. To then blame it on the Gardasil is not proving anything. For clarification, I have no financial interest or ties with Merck (the company that makes Gardasil) and would be happy to stop recommending their or any other HPV vaccine should there be harmful effects on patients.